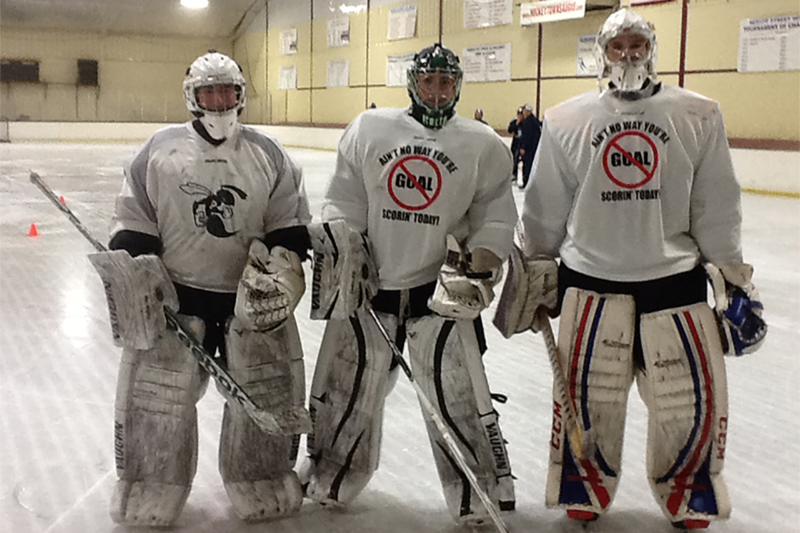 Welcome to the first online mental toughness academy for goalies. Let’s face it goaltending is 90% mental yet you probably spend less than 10% of your time training that way. You are here because you want to get better at your mental game. A goalie with a sound mental game is a goalie that will have a long career. Until now there has been nothing like this available to the masses of goalies. I have created the first on-line mental toughness training academy geared specifically for goalies. The Mental Edge Goaltending Academy Mental Toughness program will transform your mental game like nothing else available. 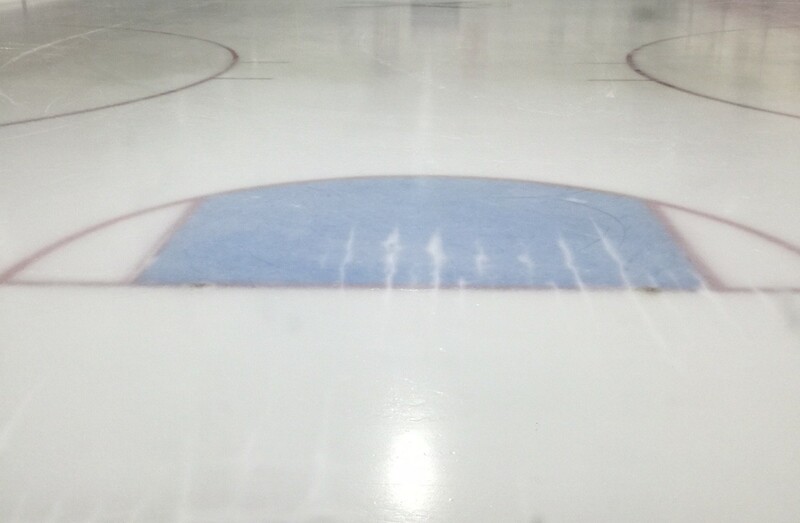 My program is specifically designed for today’s goaltender. I have coached at every NCAA level possible (Men’s and Women’s Division 1 and 3 and Men’s Division 2). I still coach at this level and have coached in Junior and Prep hockey for 17 seasons with 85 different goalies making it to the college level over the last 10 years and 22 playing professionally in that time frame. 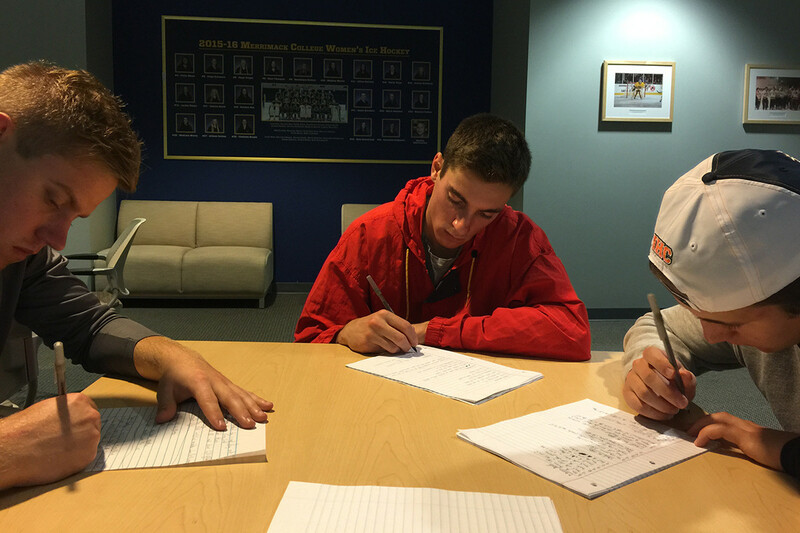 In the Summer of 2015 I also had 4 students attend NHL Development Camps. They were all incredibly skilled as were the others at the camps. They all told me the biggest challenge they had was believing in themselves that they would succeed. In other words their mental game was going to get them through it. Much of the work I did with them was mental in nature. I understand the challenges that goalies go through and the requirements and expectations that coaches at those levels have for their goalies. 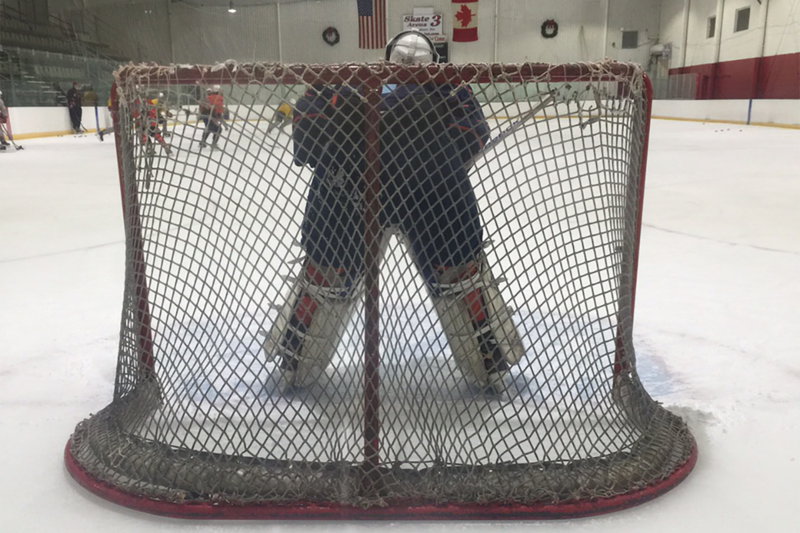 You are getting firsthand the techniques that I have used with goalies at these levels and beyond. I promise you that the information you receive will be VERY useful and each piece of correspondence you receive from me will contain techniques that work and not something that is merely an upsell to another product or system. Part of my role with the college and junior teams I have worked with has been to develop mental toughness programs for both goalies and players. The teams and players I have worked with have experienced great success. This includes winning their respective league titles and going to the National NCAA Tournament (Division 1 and 3) multiple times and winning the NCAA Tournament (Division 1) multiple times and the NCAA Division 3 tournament. You also receive regular communication from me and full access to our subscription website and goalie networking groups. There are ways to get this information. You can search the internet for hours on your own hoping to find the right information. You can spend time with a sports psychologist. I have dealt with many of them over my coaching career. They are great but often hard to get an appointment with and very expensive. I have taken away your need to search through too much information. I have compiled the latest material out there today and can deliver it to you in a stream lined process. I have a degree in Engineering and a Masters in Business so in addition to nearly 30 years caching experience I take a logical and structured approach to your development as a goaltender. Gerry Cheevers said back in 1972 that goaltending was 90% mental. Johnathan Quick recently said that goaltending is 90% mental in a series of 2015 articles. 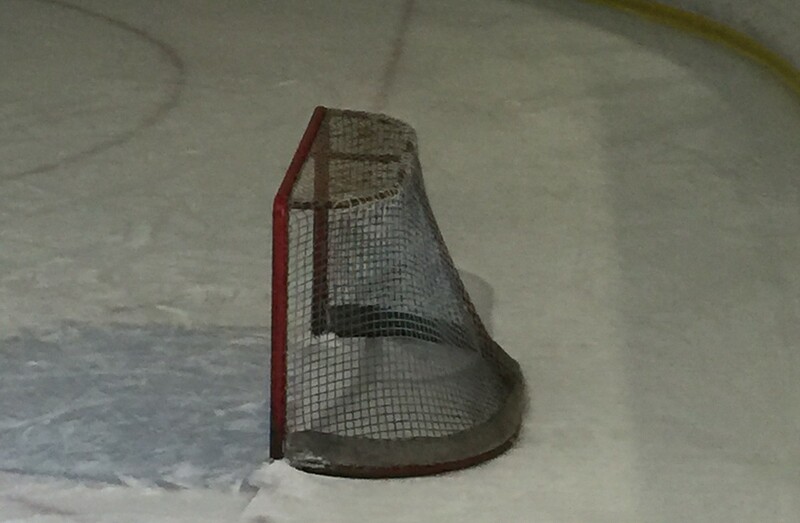 If in 43 years this part of goaltending has not changed it is not all of a sudden going to change. The need for a strong mental game always has been and always will be there. Competition is fierce at goalie tryouts some of my goalies have gone to Junior team tryouts and there are 60 goalies at the open camp. You have to make sure you are the most mentally prepared in order to have a shot at making the team. What are you doing to get yourself ready mentally? Maybe you are already there and do not feel you need to work on your mental game. Believe me there are many things to learn about your mental game, you should never stop learning nor improving. Your technical curve of improvement is more immediate than your mental curve of improvement. It takes time to build your mental game. I plan on giving you the techniques you need to be successful no matter where your mental game is at. My communication will be delivered to you via email, video, and other means. You will receive great and useful content multiple times per week. You will also receive performance tests every couple of months to track your progress. It is great to have knowledge but you must apply it to be successful. For the cost of $29.99 per month you can’t go wrong. FOR A LIMITED TIME WE WILL BE OFFERING THE COURSE FOR ONLY $9.99 PER MONTH OR $109 FOR THE YEAR. THIS OFFER WILL BE AVAILABLE FOR THE NEXT 2 WEEKS AFTER THAT WE GO BACK TO FULL PRICE!!! This is the price of 1 sticks for a 12 month subscription. Is your mental game worth 1 sticks? I will also be forming goalie discussion groups and conducting small group forums and presenting interviews with some of my high level college and pro students. You will gain insight and knowledge here that you can get anywhere else. As I have said there is no other program on the market that is available to goalies at such an affordable price. This is not a cookie cutter program. 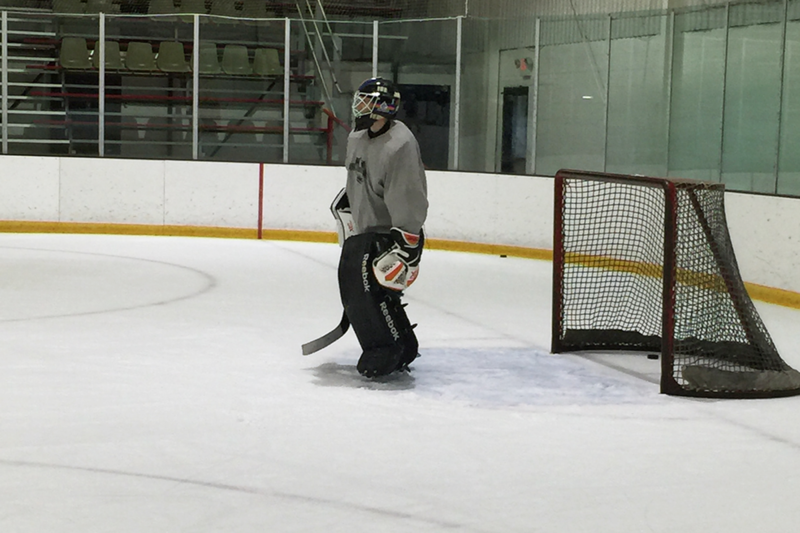 This program will help each goalie develop a personalized approach to their mental games. You have nothing to lose and you can contact me anytime at goaliementaltoughness@gmail.com. By signing up now you will receive immediate access to the Mental Edge Goaltending Mental Toughness academy website. I am not one who puts fake values on our products or claims to give you thousands of dollars for free. I have subscribed to those sites and tried those products. All I ever got were emails that had little useful content and constant ads for upsells of other premium products. I wanted to create a website that provides you all the information you need to be successful and do so at an affordable price. I challenge you to make the commitment to build your mental game and develop yourself as a person. Rob is one of the country’s most respected goalie coaches. Additionally Rob has personally coached at every level from college (NCAA Division 1 Men’s and Women’s, NCAA Division 3 Men’s and Women’s and Club) Juniors (Junior A and B), Prep (Numerous prep school teams) and youth. He has a deep understanding of the mental game and how to grow it as a player (not just a goalie) moves and progresses in levels. Copyright © 2019 Puck Stoppers, All Rights Reserved.